A touching and very well written story of a South African trekker (named Damon) who “spends most of his time on the move in acute anxiety”. The novel involves three journeys, none of which could be called a success. Galgut switches voice from the third person to the first person, often in the same sentence — as the novel moves on, that first person voice becomes more common. As well, with each adventure, the central character becomes more and more fully developed. An excellent book. A book that I first read in March, my impression has grown consistently better with each passing month. July, the narrator (who also writes in both the first and third person), is a freed Jamaican slave whose publisher son has encouraged her to write down her story. She is not totally reliable but what she does choose to remember offsets any problems. The novel has a tremendous humanity — July understands the conflicts that slavery poses for her masters as much as she understands the repression that it forced on her. The book is not perfect, but I can report that its weaknesses shrink in time, while it strengths grow in stature. The most unconventional novel on the longlist, for me it was one of the most successful. The central character, Serge Carrefax, is introduced at birth. The son of an eccentric inventor, who also runs a school for the deaf (echoes of Alexander Graham Bell), Serge matures, develops an interest and expertise in the new field of wireless transmission, heads off to the Great War as an airborne observer, returns to the drug culture in post-war London and then ends up in Egypt. A novel that raises more questions than it answers — and all of the elements don’t entirely succeed — it leaves a lasting impression. Anthony Verey is an aging London antique dealer whose most successful days are now past. He heads to France where his sister (and her female partner) is compiling a book on gardening in arid conditions as her last work — and Anthony explores the idea of relocating there with his “beloveds”, the pieces in his extensive collection that he cannot do without. The three English characters are joined by a French brother-sister pair of the same age, who are also trying to come to terms with there own conflicted and troubling past. For this reader, an intriguing story of aging and what it means to face what may be the last major conscious decision in life. While this book somewhat disappointed me, that is only because I like David Mitchell’s work so much. The title character has been sent as a clerk to the Dutch trading island of Dejima, next door to Nagasaki — imperial Japan’s only window on the rest of the world. Part of his job is to uncover the corrupt practices of the past. 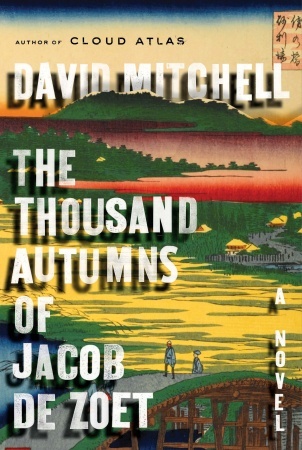 But he becomes entranced with a Japanese medical student who has been allowed to study with the Dutch doctor on the island — Mitchell uses that to open an exploration of some of the abuses that take place in the Japanese system. Probably the most ambitious book on the longlist, even if it is not totallly successful. The book with the most humor on the longlist, author Murray creates a cast of weird but completely believable Irish students, offset by an equally weird cast of school staff. The plot may be thin, but it is enough to carry some exceptional character development — and Murray exploits that in some hilarious set pieces. An entertaining and enjoyable read, I suspect it does not have the weight to win the prize. This entry was posted on September 4, 2010 at 3:19 pm and is filed under 2010 Booker Prize. You can follow any responses to this entry through the RSS 2.0 feed. You can leave a response, or trackback from your own site. KFC: are you not anxious that your short list overlaps with 4 (four!) of your predictions of the Jury’s short list? Sheila: You are quite right about the overlap. I might have been better off taking all seven that are not on my personal list as a prediction for the Real Jury list. The only Booker-contender I have read so far is Thousand Autumns, so my perceptions are all based on your and others’ reviews. That said, Thousand Autumns, In a Strange Room, and C seem almost shoe-ins for the shortlist. Most seem to like them, though Thousand Autumns seems the longest shot of those three. And I think Room and The Long Song are are excellent guesses based, again, on the reviews (including yours) that I have read. As for the rest, my impression is they could be any of the contenders. So, there is overlap between your list and the predictions, but I would guess there will be significant overlap. My only question is: Based on your reaction to The Finkler Question that seems a sure thing not only to shortlist, but to win. Could you just not bring yourself to make that most obvious prediction? I like your list, Kevin. It would mean I would still have to read three if I wanted to at least do the shortlist, which I would like to do; but, happily, they are three that I’d be more or less interested in anyway. Trevor: While I found some of this year’s longlist books not to my taste (Jacoboson, Donoghue, perhaps Warner), I could understand why others (i.e. the jury) found value in them. And when I look at my own shortlist, I would have to say it was not a bad Booker year by any means — none of these novels are immediate greats, but all six have much to recommend them. It would not be a Booker if there wasn’t some controversy, after all. I think the three that you haven’t readfrom my list are Murray, Levy and Tremain. 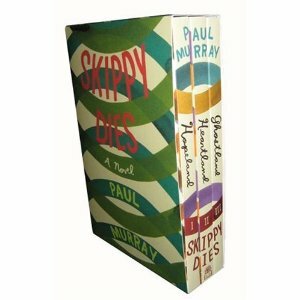 Knowing your tastes, that’s the order in which I would read them — I am pretty sure you would like the Murray a lot (and not be put off by its length, which seems to be what puts most people off). If you do pick up Emma Donoghue’s Room, I would be very interested if you could get Sherry to read it (it is short and does not take long) because I think her perspective might be more relevant than mine. Kerry: I have promised to go back to The Finkler Question if it is shortlisted, so I think that makes it as close to a sure shortlist selection as possible (and, yes, probably the winner). I don’t really mind that prospect since I am just finishing a Canadian novel, Michael Wex’s The Frumkiss Family Business, which is based on growing up Yiddish in Toronto, and I am quite enjoying it. Contrasting that with the Jacobson actually has some appeal to me. Do stand by. I think the Thousand Autumns is the only shoo-in on the Real Jury list. The Galgut and McCarthy are so “literary” that I could construct a scenario where the jury ignores them both (and I, of course, would denounce them for that). The shortlist will be interesting — will the Jury continue to spread its appeal across conflicting tastes or will it start to tilt? I will certainly offer an opinion when it is released. Stu: Perhaps when the shortlist is out we can see which way the jury is leaning — at this point I am only guessing. Again, thanks for doing all this reading and reviewing for us. I’ve enjoyed the comments too. I’ve read 4 of your six – I’m rooting myself for either Mitchell or McCarthy. 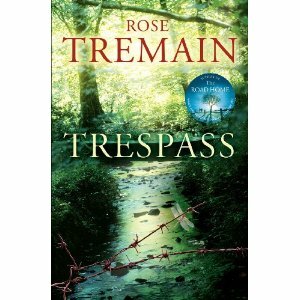 I liked the Tremain while I read it, but it didn’t make any lasting impression on me, unlike some of her previous books. 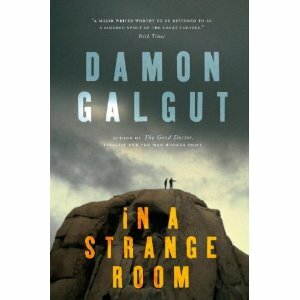 I won’t mind if Galgut wins, although, much as I liked In a Strange Room, it wasn’t as ambitious as C or Thousand Autumns. 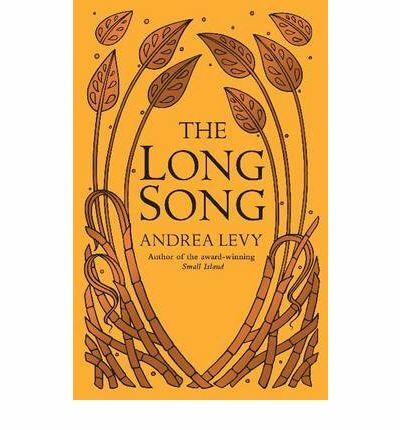 The one book you’ve really made me want to read is The Long Song. I enjoyed parts of Small Island but not enough to pick up any of her other books so I’ll give this a read if it makes the shortlist. I’m about a third of the way through The Slap which I think will make the jury’s shortlist just to have one commercial book on it. I’m intrigued by the story but I’m not finding the writing very interesting, and rather repetitive, and so I keep putting it down. Maylin: I had the same problem with The Slap — kept finding other things to do instead of reading it. I thought it was okay (in terms of describing an aspect of modern Melbourne) but had a lot of trouble keeping the characters straight. My guess is that the jury will opt for Room as their commercial book — and I would not be surprised to see Skippy Dies on their shortlist either. I agree that both C and Thousand Autumns were more ambitious than In A Strange Room — I think Galgut was far more successful in fulfilling his objective. And The Long Song is probably the book that has improved the most in memory of any that I have read this year. I haven’t read Small Island but do have a copy on hand — I intend to get to it as soon as I finish my Giller reading. I enjoyed both, Skippy Dies and Room, so obviously hoping they make the shortlist. Liked the David Mitchell as well, and as it’s already been said – it’s probably a shoo-in. Haven’t read it, but would’ve thought the Peter Carey novel would be a shoo-in as well? I suspect that The Long Song, like any historical novel, is going to have more than few detractors. If you don’t engage with the story early on, there is not much reason to continue (I had that problem with Wolf Hall last year). I agree that the Carey would look to be a shoo-in — until you read it. Most of the reviews that I have read found it disappointing. And this jury has already shown that it is not above ignoring reputation, having left previous winners MacEwan and Martel off the longlist. I suspect the biggest shortlist controversy will be around the fate of Room, regardless of whether it makes the list or not. Those who like it “really” like it and probably will be quite vocal if it is not on the shortlist. Those who dislike it are equally passionate about their disapproval. It wouldn’t be a Booker contest if we didn’t have something to yell at each other about. Kevin, I would be happy to see this year’s jury agree with your shortlist. I would probably replace The Long Song with February or The Slap. I will be demanding some answers if Galgut, McCarthy and Mitchell are left off on Tuesday. paddyjoe: Given some of the books on the longlist, the chance does exist that Tuesday will produce a real “rogue” shortlist. While I think there is pretty widespread agreement among those who try to follow the Booker that Galgut, McCarthy and Mitchell would be worthy, I’m not sure that will be the way that this jury feels. I’ve only managed to read six of the thirteen thus far, so I’m avoiding making predictions at this point. It’s been fun to see how those of us reading (or attempting to in my case) the longlist have such varying opinions. Regardless of the outcome, I’m eagerly awaiting the announcement of the shortlist Tuesday! Carrie: I agree that waiting for this year’s shortlist has more suspense than in most years, because the longlist books have provoked such varied responses. And because they are so different — Warner is about as far from McCarthy as one could imagine. I usually find the shortlist decision more interesting than the actual winner, simply because it doesn’t come down to a single book — and does supply a better indication of the “personality” of each year’s jury. I think what’s interesting is that, while this has been a year when people (you in particular, Kevin) have been critical of several of the judges’ choices, it is possible – with your choices – to pick a shortlist which is as strong as many in recent years. Indeed, given the near unanimity on the Booker site forum over the likelihood of Mitchell, McCarthy and Galgut making the shortlist, it seems that that would be half a shortlist which would satisfy almost everyone (Colette Jones excepted!). I certainly think it’s possible to weed out, from others’ views, the titles which will not have widespread enough support among the judges to mean they will go no further – Jacobson, Donoghue, Warner, Moore, for example. John: I agree that the longlist does contain what I would regard as the potential for a very strong shortlist. I don’t think that I am the only one who has been critical of some of the choices, as much of the commentary on the Booker site has illustrated. Indeed, a number of regular Booker readers have chosen not to attempt some of the longlist or abandoned them. I certainly read books that I would not have otherwise attempted. The curious part of me has wondered whether the jury was in general agreement around six or seven books (those that I like, of course 🙂 ) and then opted to fill out the longlist with “strange” books that don’t seem to be logical choices, just to give personal favorites a bit of a boost. And while I have been critical of a number of the choices (Jacobson, Warner and Donghue come quickest to mind), I did find something of interest in all but the Jacobson (a novel where I do admit my personal tastes may have got in the way of a fair appraisal). And all of those authors (especially Donoghue) do have passionate advocates for their worth. What is interesting with the longlist is that — while a very strong shortlist is certainly possible — come Tuesday the potential also exists that we may see one of the weakest shortlists in recent memory. It is that contrast which makes this one of the most interesting Booker leadups in recent years for me. We might have a better picture come Tuesday. I do think that every jury does have a collective “personality” (as Colette pointed out) that develops from their personal tastes. I don’t think we know yet what this jury’s personality is. What are the chances that the Booker prize this year will be drowned out by ‘Freedom’ hype, much of it originating in England? Tony: Even before Freedom came along, my impression was that this year’s Booker was attracting less attention than usual in the U.S. — certainly there was no blockbuster like Wolf Hall last year. I don’t follow English dailies that closely but my guess would be that the shortlist will overtake Franzen publicity. Perhaps a more interesting question (and I will have to rely on commentors to report for us) is what the comparison is with instore book displays. On that subject, just on Saturday I noticed that my local Waterstone’s now has a Booker Longlist display. Better late than never, I suppose. It was very interesting to see your list as I had no idea you enjoyed The Long Song or Trespass that much – I thought they were both fairly average (although enjoyable) books. Kevin: my impression is that bookstores here (Dublin) are paying much more attention to the longlist then ever before. In fact, I don’t remember there being “longlist” displays in previous years, although that may be my faulty memory or lack of interest. Certainly shortlist displays are to be expected but this year seems different. Perhaps that’s the thinking behind some of the selections you’ve found puzzling? If Booker can demonstrate that even longlisting, never mind winning etc, provides a solid sales boost, then surely the prize’s position is stronger again – at least from an industry perspective. And of course bookshops are happy to have any wheeze that shifts units. Leroy, John: Thanks for the observations about longlist displays. I think Leroy is right that some of the books that I find “puzzling” on the list probably are a contributing factor — if only because the press runs were big enough (and the authors have a core group of fans) to make displays possible. If you think about it, last summer it probably would have been difficult to round up enough copies of Heliopolis, Not Untrue & Not Unkind, Me Cheeta, The Wilderness and How To Paint A Dead Man to do a proper display. A hundred copies of Wolf Hall surrounded by a single copy each of six other finalists (if even one could be found) would look strange. So given that a stated purpose of the Booker is to sell more books (often overlooked in favor of the “best book” purpose), this year’s jury probably deserves full credit. Jackie: I do agree that Mitchell, Galgut and McCarthy are attracting positive attention across the spectrum of readers and bloggers who pay attention to the Booker (note that John Self and paddyjoe made the same point in a comment earlier). If they are on the list tomorrow, the jury would appear to be thinking like the rest of us — if they aren’t, we have a fair bit of divergence. It is also interesting that among we Booker watchers, there is a lot of divergence after those first three in completing the shortlist. Which I would have to say is testimony to an “interesting” list that provokes some discussion. As for Trespass and The Long Song, I did not think either was perfect (that’s true for every book on the list this year) but did find their strengths outweighed their weaknesses, for me at least. I don’t think that’s the case for a lot of readers, however. Well, you guessed four out of six correctly, Kevin (and your own choices matched three of the judges’). The main issue, as with almost everyone who predicted the shortlist, was your inclusion of Mitchell and omission of Jacobson. There is a strong case to be made for now saying that Jacobson could take the prize, if the judges are split between ‘literary’ (McCarthy, Galgut, Carey) and ‘issues’ (Room, Long Song). Could Jacobson be a compromise winner? And, more importantly, will you now be re-attempting it, Kevin? I promised to re-attempt Jacobson and, after giving myself a few days for an attitude adjustment, I will. As for a “compromise” choice, I would split the list differently than you do: literary (Galgut, McCarthy, Jacobson); historical (Carey, Levy) and populist (Donoghue). Under that scenario, the compromise choice comes from the historical and I think would be Levy. The Carey is not a good book (and Booker juries seem not to like books about America unless they mock it) and he has already won twice. Levy has been overlooked, her book is better and she would be a very presentable winner. The only problem with that, of course, is that The Long Song did not even make the Orange Prize shortlist this year. I didn’t mind the Carey as much as you, Kevin, but I certainly hope it doesn’t win (and I don’t think it will). I find it interesting that neither you nor John finished the other’s consolation choice! Interesting article in the Telegraph – Pullman criticises the Booker shortlist for having too many novels on there told in the present tense!! I tend to agree with Motion’s comments in defense of the list. maggie: Whatever shortcomings I might find in the shortlisted books, I must admit that telling in the present tense is a criticism that had not even crossed my mind. In fact, I would have had to go back and look at the books to be able to say what tense they were told in, if the Telegraph article hadn’t told me. I suspect the issue means a lot more to an author than it does to a reader. There’s an interesting article here: http://www.guardian.co.uk/books/2010/sep/11/booker-prize-andrew-motion-judging where Motion comments on the judges’ criteria. I thought it interesting, and a little troubling. Is it good writing to confirm what we feel might be true? Isn’t that just saying he’s looking for books that confirm his preconceptions? That great books are books which are at a fundamental level comforting? What about books that challenge us? That undermine what we believe to be true? I also wholly fail to see the relevance of historical sense as a requirement. That can certainly be a strength for a book, but I don’t think it deserves anything like that importance. It seemed very middlebrow to me as a set of criteria, which makes it interesting given that the shortlist does as others have mentioned contain at least three very strong books. Max: I feel rather sorry for Motion — as part of his brief to the Booker, he needs to take advantage of these media opportunities. Yet, serious critics take entire books (more than one) to develop and explain their criteria for what a “great” book is. But he has to do it in under 1,000 words. I’d prefer to read the mini-check list as a menu of possibilities, rather than a set of requirements. As in, historical sense would be a strength (I’d say The Long Song meets that criteria) but not a requirement (Galgut doesn’t have much history to it). That’s perhaps a little kinder than he deserves, but I don’t know how I would go about explaining the collective criteria developed by five readers. Whatever their criteria, I do think this year’s Booker jury did have a positive bias towards established writers, with a subset bias against those it perceived as overhyped (MacEwan, Amis, then Mitchell when it came to the shortlist). No first novelists (the Giller jury found seven on a list of 13 — probably because two of the three jurors are authors who I think are more inclined to recognize the debut writer). I probably was being harsh. The comments just struck me as wrong headed. That said, the list itself isn’t too bad and the shortlist (although one could quibble with an entry here or there) is fairly solid. So judged on their judging they’re not doing too badly. I’m still backing the Galgut for the win but we’ll see what happens.